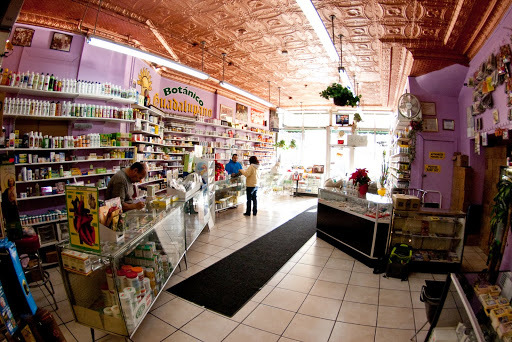 Botanicas are stores that sell folk medicine, herbal remedies, candles, amulets, and other forms of alternative medicine. 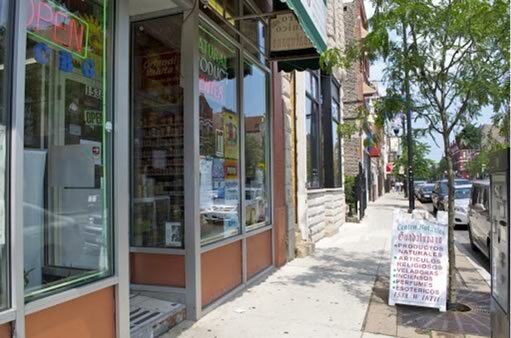 Pilsen and Little Village are home to a number of Botanicas, and we visited several for our research. 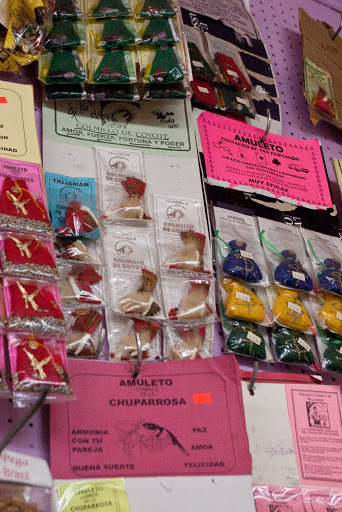 The awning of the store is green, white and red — the colors of the Mexican flag. 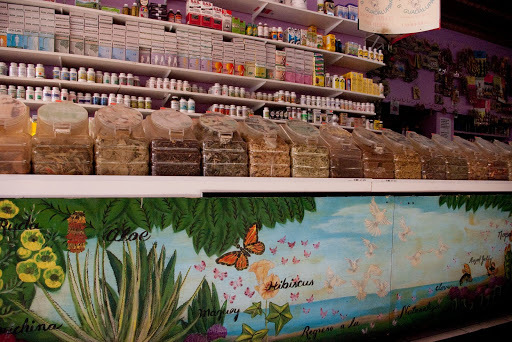 Upon entry, the left side of the store is lined with containers of dried herbs, leaves, and bark. 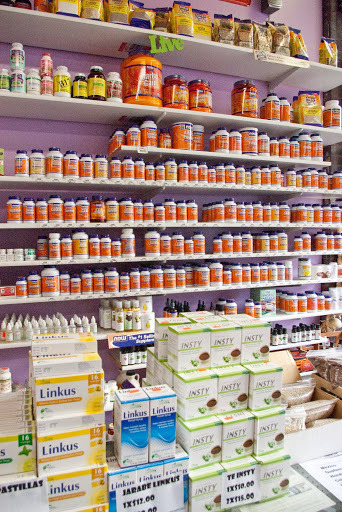 On the right there are clear glass countertops containing herbal supplements and remedies in capsule forms. 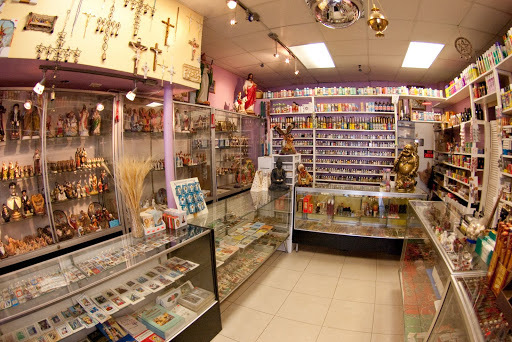 There is a large display of prayer candles, statues of Catholic saints, as well as incense, soaps, and oils. 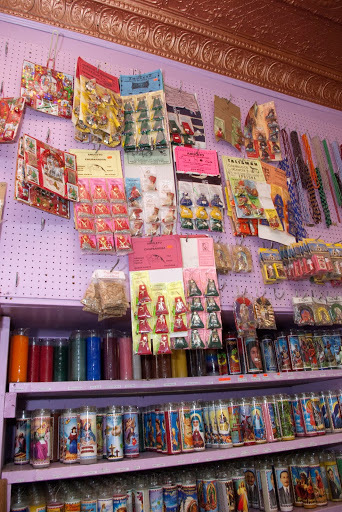 Most of the bottles and boxes had Spanish lettering, and some even depicted Native Americans, Aztec and Maya landscapes and architecture, and Asian religious deities such as Buddha. 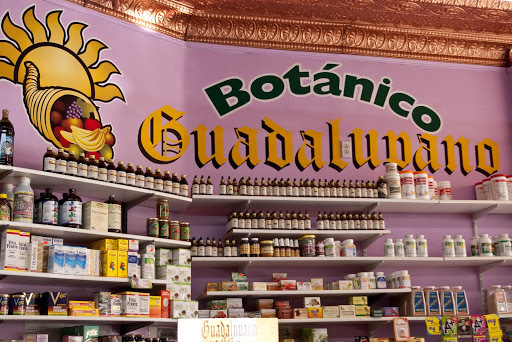 While the botanica did sell many traditional herbs and plants, this establishment bordered the line between traditional healing goods and general pharmaceutical products. 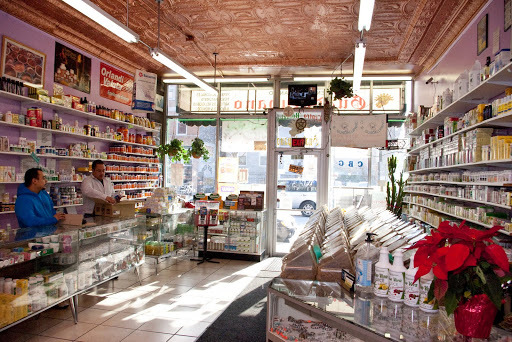 Further inside the store, beyond the herbs and prepackaged remedies, were familiar pharmaceutical remedies for common ailments including aspirin, gauze, cough syrup, band aids, and allergy medication. 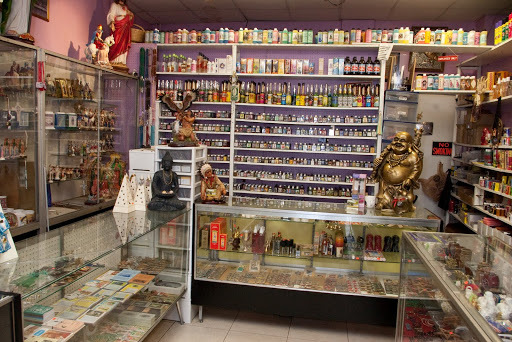 There were also some posters and books about Traditional Chinese Medicine (TCM) as well as bottles of pills for important products in TCM like ginseng. 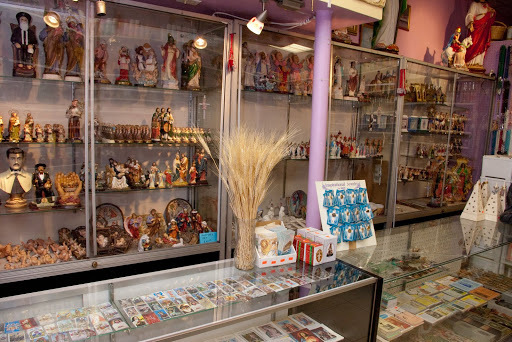 Toward the back of the store was a shelf containing votive candles with various Catholic Saints depicted in addition to Saint’s pins and pendants within a glass case. Small wood and brass statues on a back glass counter depicted Native American figures, Buddha, and Jesus. 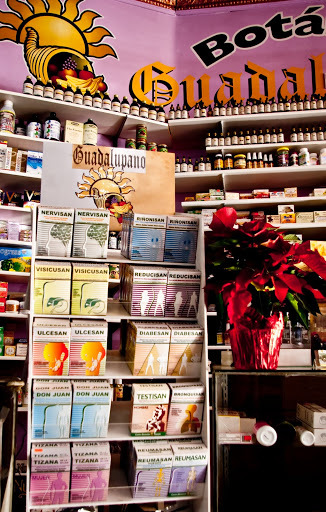 Centro Botanico Guadalupano is an excellent example of how botanicas offer a mix of cultural and herbal lore from a variety of backgrounds. 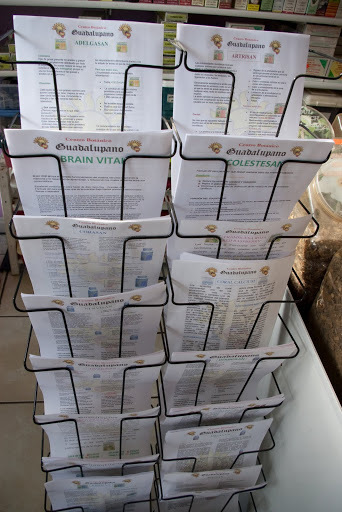 Centro Botanico Guadalupano (CBG) has been operated by the same person for the past 25 years, though they changed location two years ago. 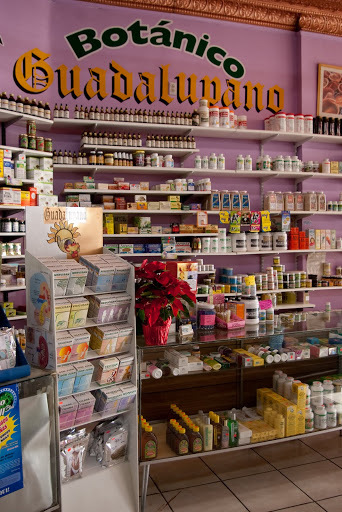 A framed FDA certificate and the owner’s pharmaceutical training certificate from Mexico are displayed. 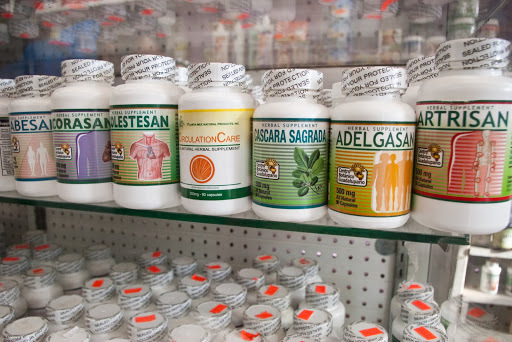 The majority of their herbs come from all over Mexico including Jalisco, Guerrero, Zacatecas, Michoacan, and Guanajuato. 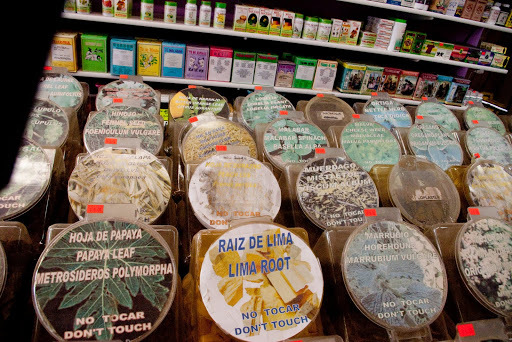 They also get many herbs from India, Brazil, and Perú through a provider in the U.S., and they fill mail order for customers in Iowa, Michigan, Georgia. 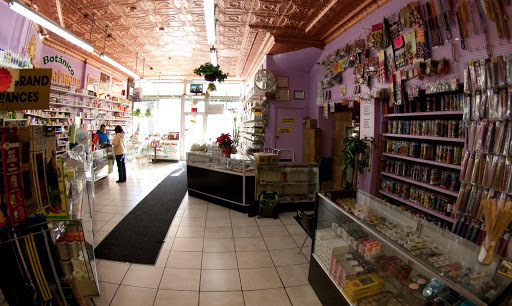 People visit the Pilsen store from all over the Chicago area and the Illinois/Michigan/Indiana/Wisconsin region. 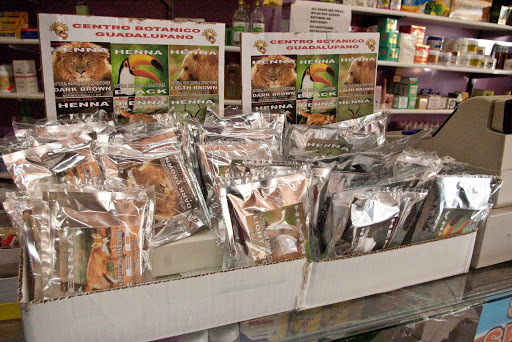 The owner of Centro Botanico Guadalupano is well-versed in the properties of the herbs sold in store. 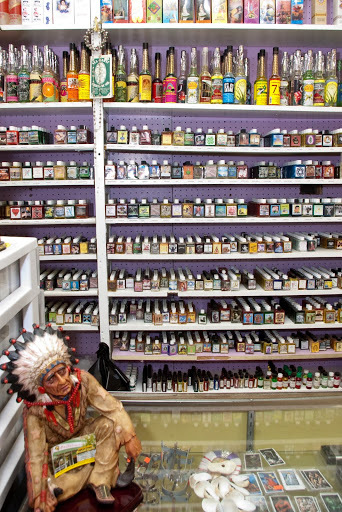 He said that most people come in and describe what their symptoms are and he and the other workers will recommend certain herbs to boil to create a tea. 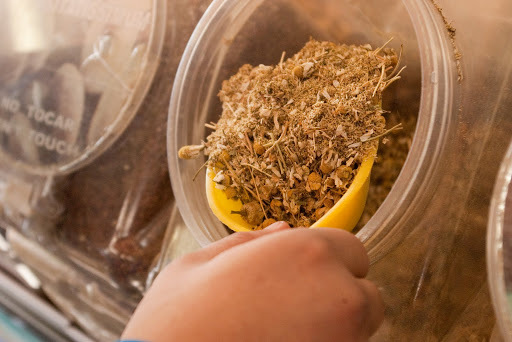 If the herbs do not work, they will move on to other options. In many instances customers know what they want and ask for it by name. 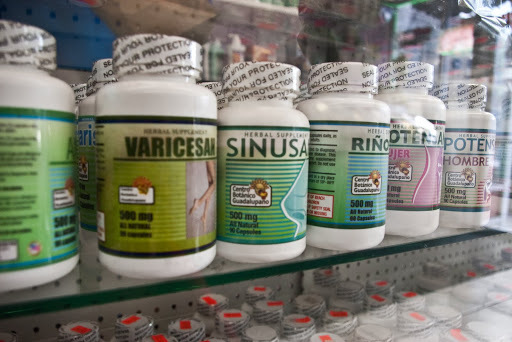 Some common remedies sold include valerian root for the nervous system, arnica for to treat blood clots and bruises, and St. Johns Wort for mood and overall circulatory wellbeing. 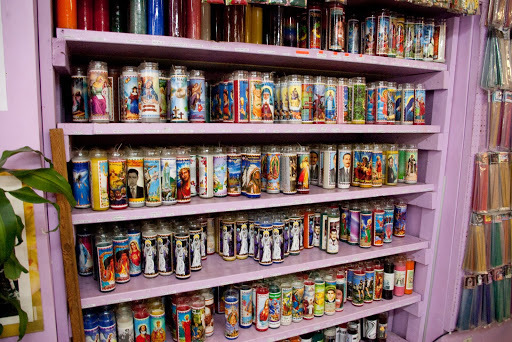 CBG has shelves lined with prayer candles near the canisters containing bark. 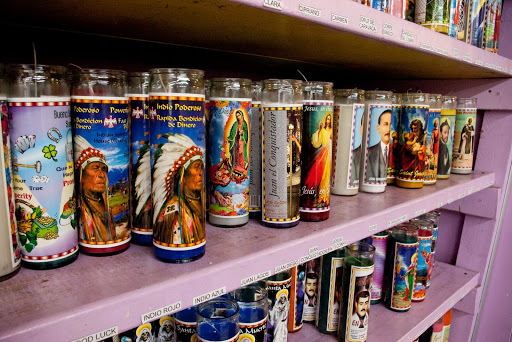 Unprepared candles cost $2, but for $5 the owner says special prayers over the candles, sometimes burning incense for a particular need or purpose that a customer has specified. The most common requests are for employment and financial concerns — a debt owed, a loan they would like to collect from a friend or family member, or a favorable ruling in court cases. 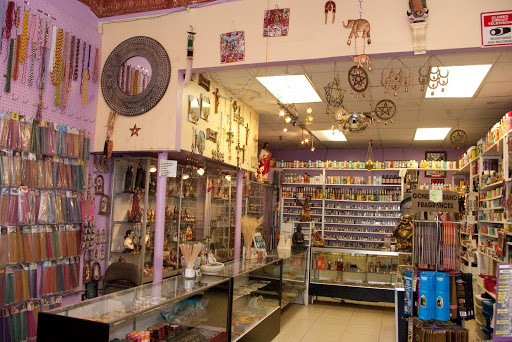 The store also has a section containing several pentagrams and the Buddhas and Ganeshas for believers in “black magic.” The owner’s son said that the Santa Muerte’s cult is growing rapidly amongst college students, who buy statues and votives in her honor. 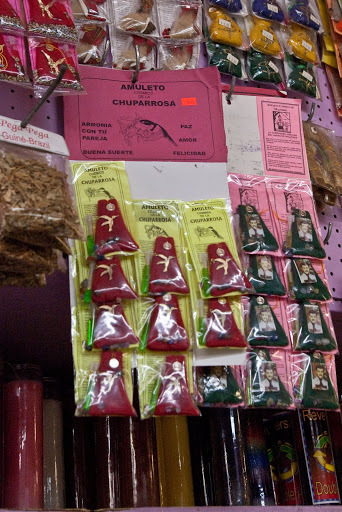 Santa Muerte ("Holy Death") is a female folk saint associated with healing popular in Mexico and parts of the United States. 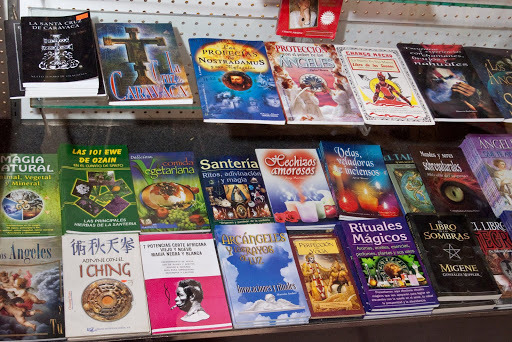 To learn more about popular purchases and remedies at Centro Botanico Guadalupano, see the collections gallery. Learn about the work that goes into curating and contextualizing a new collection. Chicagoans tell us how food, culture, and habits shape their perception of wellness. Search our collection of objects spanning a range of medical traditions and culinary practices. 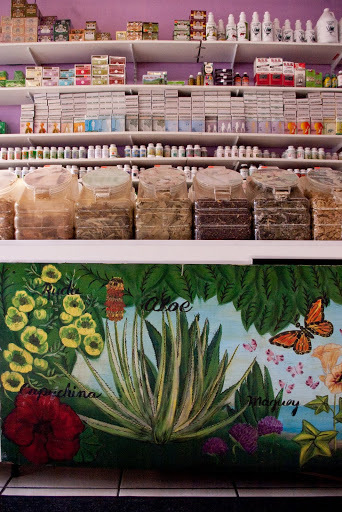 Explore apothecaries, stores, botanicas, and urban gardens around Chicago.